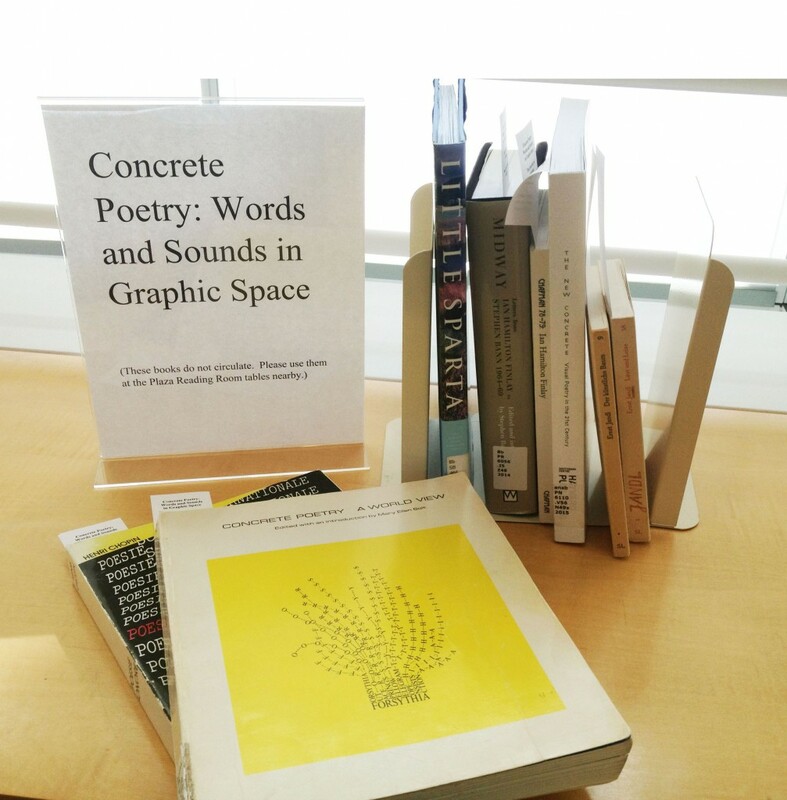 A selection of books is now available in the Research Library’s Plaza Reading Room to complement the Getty Research Institute’s current exhibition Concrete Poetry: Words and Sounds in Graphic Space. These books will be on reserve in this location through July 31, 2017. The full list of titles is available in Primo Search.